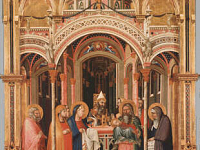 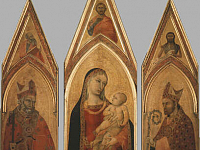 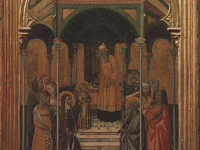 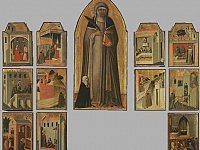 The small Room Number 3 is dedicated to the Sienese painters Simone Martini and his brother in law Lippo Memmi and the two brothers Pietro and Ambrogio Lorenzetti. 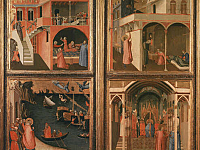 These paintings, dating back to the 14th century, reveal a slight changing of style, if compared to the previous number 2 room. 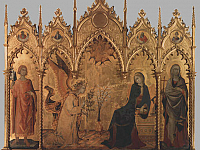 In fact, the Annunciation by Simone Martini and Lippo Memmi shows the typical Gothic style, a large use of gold for instance, and an elegant attitude of the Virgin Mary, which is typical of the Sienese sensitivity. 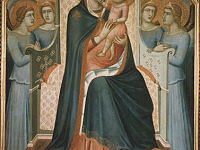 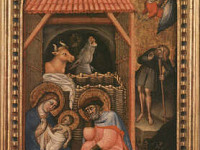 As for the paintings by the two brothers Lorenzetti, we can still recognize the Sienese style, of course, but we cannot deny the influence of Giotto and of the Florentine school, due to the fact that Pietro and Ambrogio were also active as painters in Florence.